As we spend today relaxing with family, friends and good food, I'm sure we'll each spend a least a few minutes reflecting on the reasons for this holiday: to honor those who serve in our military, past and present, human and dog, here and laid to rest. We saw this tribute to our armed forces and call to action on Wayne Pacelle's Blog, A Humane Nation, and thought it was important to pass along. As you probably know, Mr. Pacelle is the President of the Humane Society of the United States. In Friday's post, he called attention to a bill currently before the U. S. Congress (H.R. 198), called the Veterans Dog Training Therapy Act. This measure, if passed, would create a pilot program whereby veterans suffering from Post Traumatic Stress Disorder (PTSD) or other mental health condition train dogs for use in service roles and then assign these trained dogs to physically disabled veterans. The bill specifically provides for the use of shelter dogs in the program, which we think is extra cool. And to go along with this initiative, the online community, Dog Bless You, is offering to help "connect up to 100 service dogs with returning soldiers in need." That's all you have to do, sometime between today and July 4th, is to "Like" their Facebook page. For every 5000 "Likes", Dog Bless You will fund one of these service dogs. 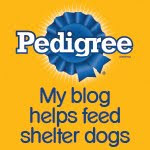 So go give them a big fat "Like" right here: www.facebook.com/exploredogs. Call us out of touch, but this is the first we've heard of Dog Bless You - duh! And we think their community and it's donation is a terrific idea. We hope you'll join in and help! As always, we appreciate your support and comments. Thanks Bocci! We didn't know about this bill, but think it sounds wonderful. We will also go like the page on facebook. Interesting! Thanks a lot for the info. 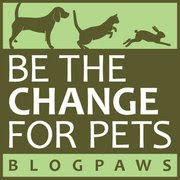 We say "Dog Bless You" in our house when someone sneezes... but I didn't know about this organization. Thanks! Lovely tribute. Hope you had a nice Memorial Day.